a painting as elegant as this, to view. a brushstroke from heaven, sketched with ease. misty warm vapors inviting you. keeps one from touching this blistering ground. resolved I’ll return, no matter how old. 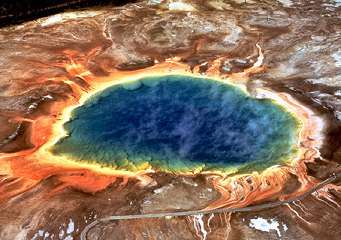 which is a picture of Hot Springs in Yellowstone National Park. The poem came in "First Place".